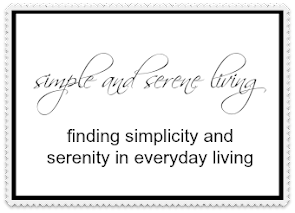 F Simple and Serene Living: whatcha cookin Laura? Sister: Ummm!!! You do know you can eat oranges raw don't you. Me: Duh!! I wasn't born yesterday. I'm not planning to eat these. Sister: Then why are you cooking them? Me: (in my smart alecky sister sort of way) Cause I'm getting ready to craft. Hey, I saw that eye roll!!!!! First of all let me say that this idea came from my daughter, Katy. She is an artist and her work is on the cover of a magazine this month. It will be out here in the US at the end of the month and I will share it then. 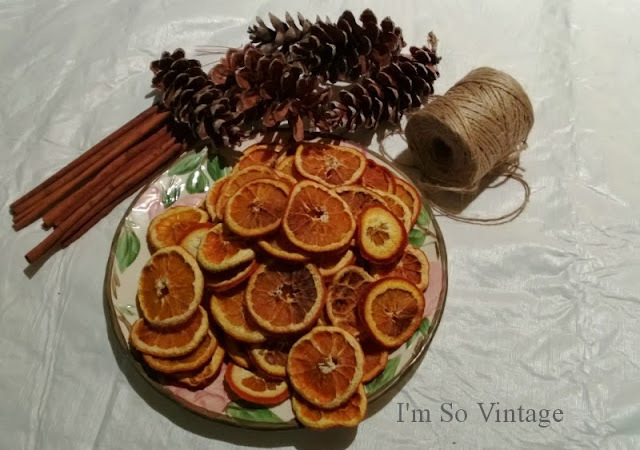 My supplies were pine cones, oranges, cinnamon sticks, and twine. The only thing I had to purchase were the oranges. 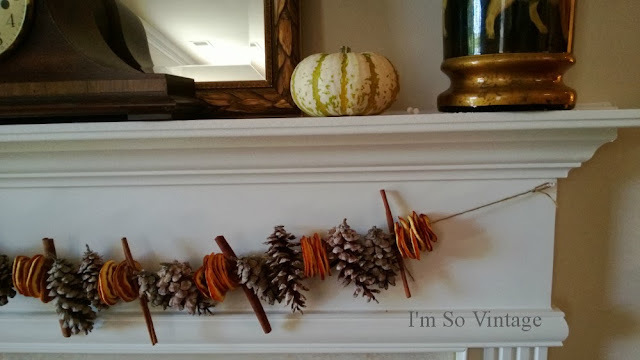 I had the cinnamon sticks and twine and I picked up the pine cones on my walks. 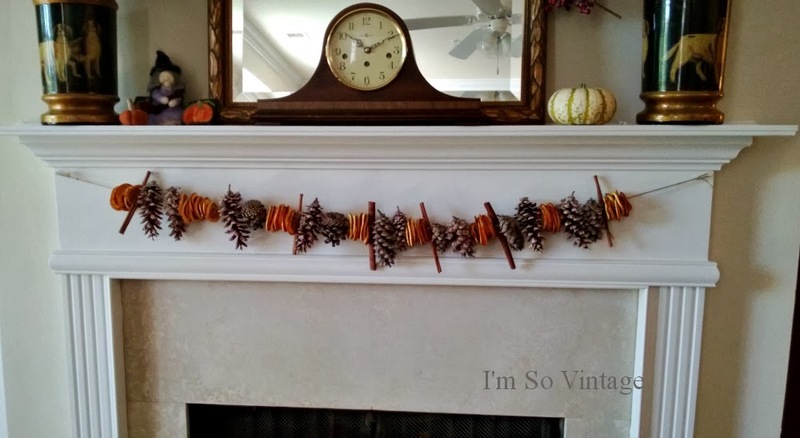 My very own handmade fall garland, and I bet you thought I wasn't crafty. I was going to drape it more, but this is a gas fireplace, which gets really hot and I didn't want the whole thing to go up in flames. You can see Katy's beautiful garland along with step by step instructions at WinsomeHollow. I've inspired myself so much, I'm going to make a centerpiece next. That looks great! Love the idea of the dried fruit! No, I didn't know you were crafty. That looks so nice! I love it. I bet it smells good too. Congrats to your daughter for her work being featured on a magazine cover. That's wonderful! Oh, I love the way it turned out! And when you have the fireplace on, the heat will go up through it and release even more fragrance! 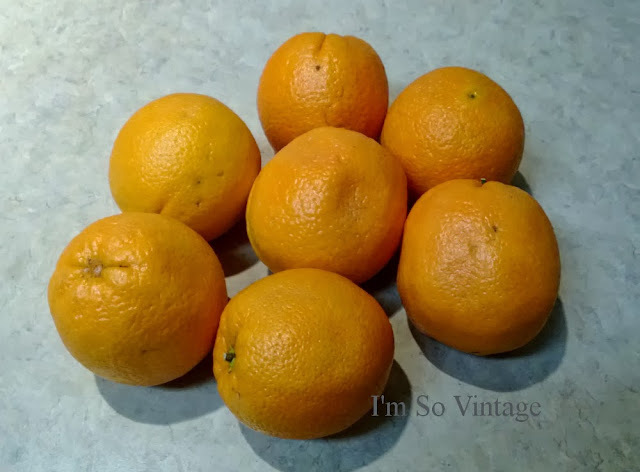 I should 'glean' some oranges to make one for winter. What a great idea! I really like that - I bet it smells fab! Oh so pretty Laura . . . I can smell the wonderful aroma from here. . . .
Not only does it look pretty, I'm sure it smells heavenly, sweet Laura. I did this one year at the nursing home. I had to slice all the oranges as the frail hands around me didn't have the strength but we chatted as I worked and talked of celebrations from days gone by. Then into a food dehydrator brought from home. I'm sure we released a large amount of orange essential oil because all the staff commented on how cheerful they felt that day. The residents were able to string all the pieces and show off their lovely decorations to visitors. Thanks for reminding me of such a happy time. What a beautiful garland - I love it! Gosh, Laura...I have everything but the oranges too. What's hold me back from bringing such pleasure to 34th street? Nothing! I'm going to cook up some oranges this weekend! Your garland is beautiful as is Katy's blog! I made one of these garlands years and years ago. Also did one with apple slices. Seeing yours sure brought back memories, makes me want to make another one. Yours looks wonderful. I see you have a daughter that blogs too, off to visit her site. Boy Laura, this is great, I love it. I never thought of ding the orange slices myself. Dumb!! I just adore this idea. It's natural and the colours are soft and beautiful. I'm adding oranges to my shopping list for tomorrow. 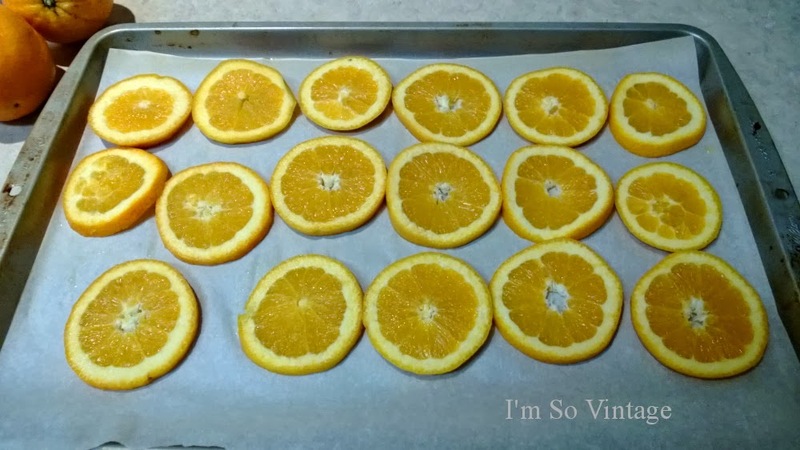 How long did the oranges take to dry? I have a small oven, maybe I should do that in my mom's oven next week! Laura, I can smell the delicious scent from here! It looks so pretty on the mantle. I never knew how to do this, now I might just give it a try! That is beautiful, love the fall colors and the combination of items you chose!